Malaysian manufacturers noted business conditions in the first half of the year have improved and the outlook for the rest of the year is more positive. 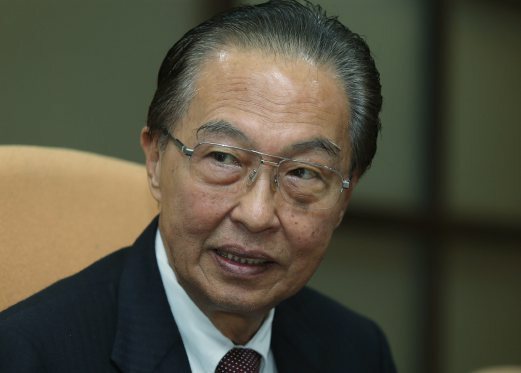 Federation of Malaysian Manufacturers (FMM) president Tan Sri Saw Choo Boon said after a challenging 2015, capital investment and business activities have picked up in the first half of this year. "Business activities among manufacturers have picked up amid volatility in the global export market," he told reporters at a briefing to present the findings of the FMM-MIER Business Conditions Index here today. Saw said a survey involving 416 participants nationwide noted some of the FFM members started to become more productive in terms of digital technology usage, outsource of non-core activities and efficiency in energy usage. "Our manufacturers are hiring more and this will translate to rising export sales for the rest of the year," he said. Despite improvement of business sentiment, manufacturers continue to be concerned about longer term challenges. These include export barriers, rising regulatory costs and uncertain government policy on foreign workers. Manufacturers highlighted pricing, standards and rules of origin as damaging barriers to exports. Other limitation include labour shortage and restriction on the recruitment of skilled labour. Manufacturers are hoping the government will adopt a more comprehensive and consistent approach in the hire of foreign workers. “The current shortage of foreign workers is disrupting business operations, which is especially harmful in these trying times. While business activity has improved, some members have had to turn away orders as they do not have enough workers to make and deliver on promises,” Saw said. The frequent changes in government decisions on foreign workers' intake, he said is causing uncertainty and unease for Malaysia’s manufacturers and economy. “The FMM thinks intermittent banning intake of foreign workers is very damaging on Malaysia’s economy. We, however, support, a consistent policy of reducing reliance on foreign workers as our members start to move towards higher end manufacturing,” Saw said. In facilitating automation, there has to be a parallel push in tax incentives for more talent retention and enhancement among engineers and researchers. FMM had forwarded proposals to the government to extend reinvestment allowance to all companies and extend the duration beyond the current three years that will expire in 2018. FMM had also proposed to the government to extend double tax deduction incentives for research and development (R&D) that is currently only available to small medium enterprises (SMEs) to all companies. “The government should encourage the R&D drive among all companies by extending tax incentives to all, not just the SMEs,” Saw said. Interestingly, this edition of survey series also showed that 57 per cent of the participants thought that corruption levels in the country has worsened. Last year, Malaysia was ranked 54 out of 168 in the Transparency International Corruption Perception Index. "This is the first time we asked our members about corruption and this is their feedback. This is the perception." Saw said.